I'm back with more flowers from my garden! I've never been more excited to see all these colorful blooms. Everything is at least a month early because of all the warm weather we've been having. 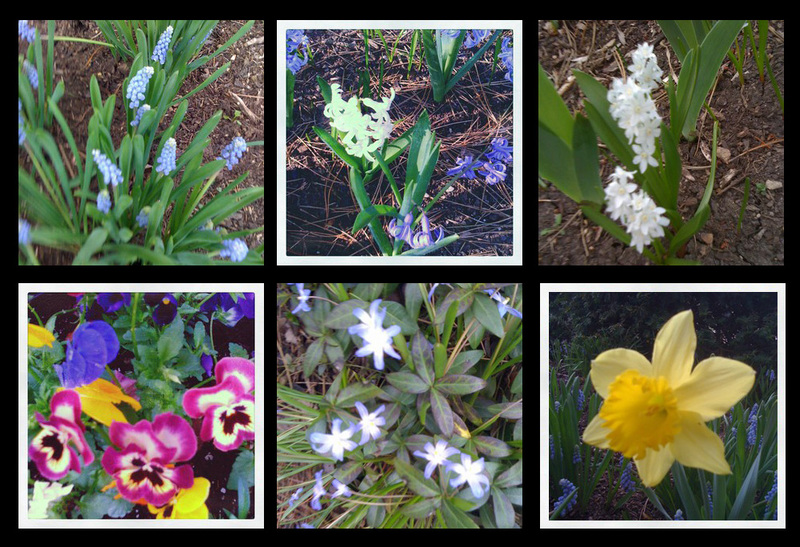 I can't remember when the last time we've had all these flowers in full bloom during the first day of Spring. It's just such a lovely sight I couldn't help snapping a few more photos! Very nice, Jeanne. OK, fill me in. Is the Instagram on your IPAD?